If a hipster blogger coming-of-age in 2009, there was no more familiar press release turn-of-phrase than "La Roux remix." Everyone from Skream and Diplo to then-fresh out of the gate producers like Nacey got their hands on Elly Jackson and Ben Langmaid&apos;s vocal-driven productions from their eponymous-titled debut album. Thus, when taking a listen to "Let Me Down Gently" - the celebrated British duo&apos;s latest single from forthcoming July 7-released album Trouble in Paradise - it&apos;s clear that one could very well be worried about what to expect. Near ambient luvstep is not so much in pop favor, and big room dubstep certainly isn&apos;t, either. Furthermore, there&apos;s a plethora of UK-based female voices that have emerged since 2009, so it wouldn&apos;t be surprising if this single could be tired and less-than-noteworthy. However, that ends up being far from the case. 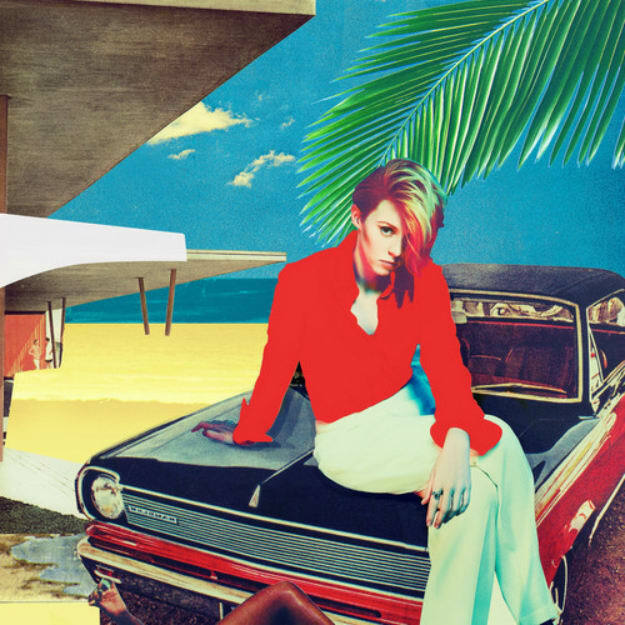 Breathy and synth-driven, La Roux&apos;s insistence on hearkening back to early 80s UK powerhouses like Erasure and the Eurythmics sound as fresh as ever. Thus, as Disclosure are to UK garage, La Roux are to new wave. Few, if any deliver it with such devotion, adoration and attention to style that makes it sound timeless, yet fresh for modern ears. As with anything pop, though, once an act evolves from zero to iconic in three hit singles, following up is difficult. But in not deviating from form, with this album La Roux could feasibly keep their space as a beloved duo in the hearts of fans worldwide.